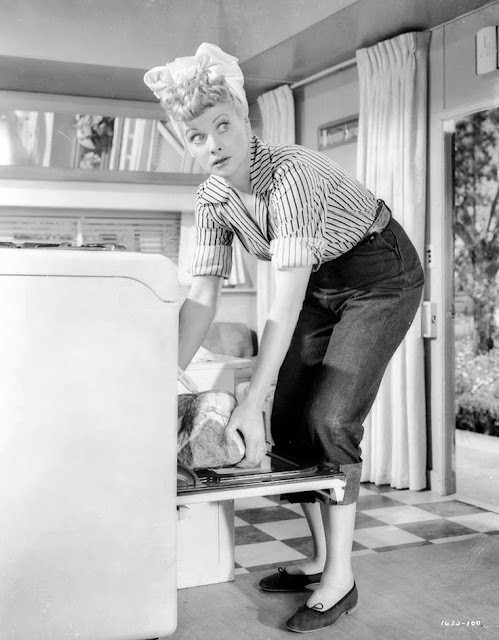 Today I'd like to share some classic vintage recipes from the kitchens of some our favorite old Hollywood celebrities. From Marilyn Monroe's Thanksgiving stuffing to Judy Garland's solution to Thanksgiving left-overs, cook up an unforgettable autumn feast this year! 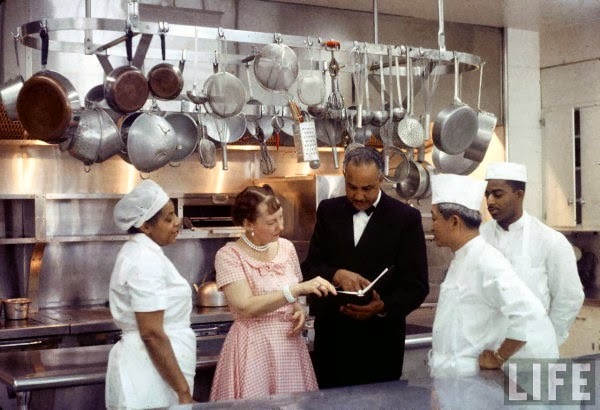 The beloved First Lady shares a simple and delightful pie recipe from her White House kitchen. This much-adored and lighter twist on the classic is recommended to be served with a gingersnap or shortbread crust. If you're in the mood for something unique for the dessert table this holiday season, take a tip from Lucy and whip up her beautiful wintery Persimmon cake. This one makes a gorgeous Christmas dessert as well. Forget the boring ol' dinner rolls and pass on store bought biscuits for Christmas morning. 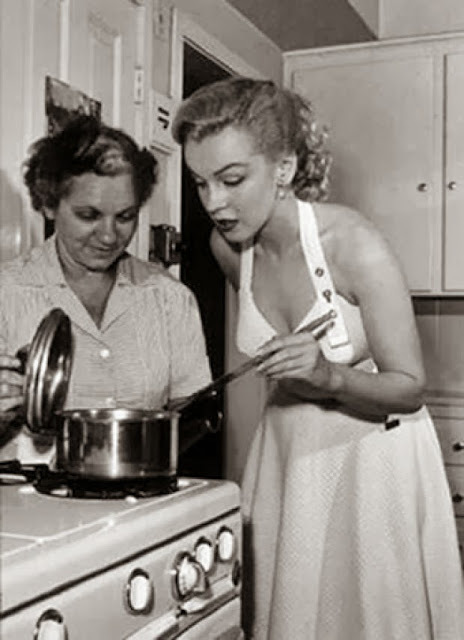 Here's a beautiful bready recipe from the equally beautiful Myrna Loy. This one is destined to be a year-long favorite in my house! 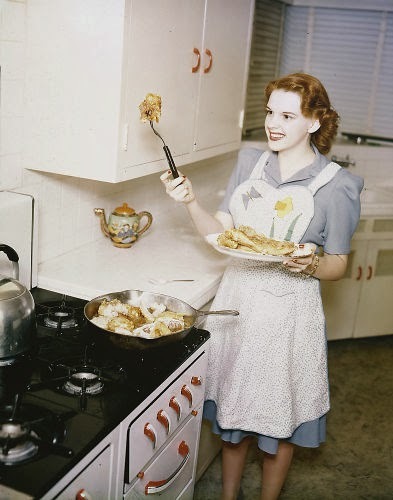 It's not easy being a holiday hostess, as Judy Garland new, I'm sure. When the cooking, feasting and merriment is over, what's a girl to do with all of those left-overs? Throw together a quick and delicious shepherd's pie. Substitute the chicken in the recipe for left-over Thanksgiving turkey. What a deliciously fantastic post! Tony is a huge persimmon fan (in fact, he lists them as his very favourite fruit, assuming you can get a hold of nice ripe ones), so I'll be bookmarking Lucy's cake recipe for sure. 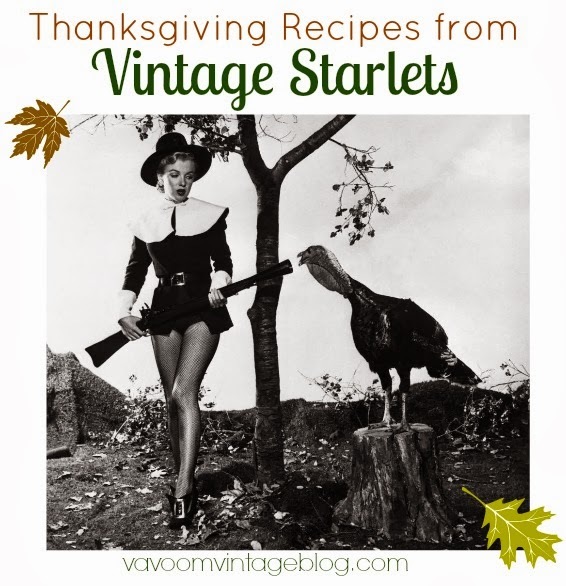 Thank you for sharing all of the these vintage recipe gems! This post is a true treasure. I thank you from the bottom of my heart. Great post! I will try some of these this Holiday, it i sfun to remember that they came from someone else and Marilyn and Lucille are the best. Thanks for sharing. The recipe says to use canned pumpkin pulp, but I don't ever recall seeing that here in Norway. Does anyone know if one can make it from fresh pumpkin? Can't tell you how much I love this post!!!! Going to try some of them out! 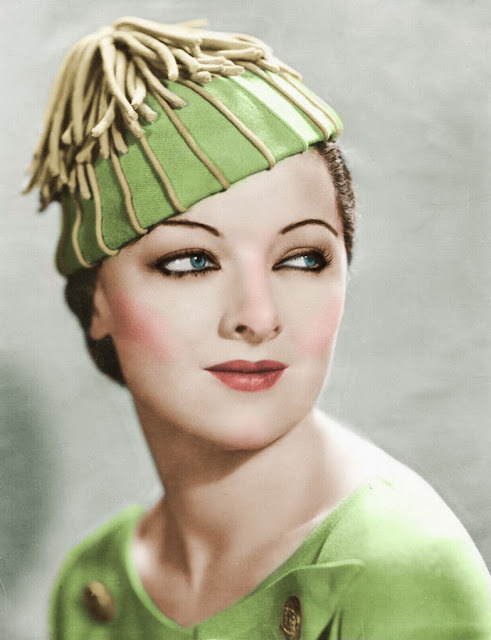 I remember the day Myrna Loy died. I had second period English and my teacher loved old movies, so I told her that she had died and she was shocked that a 10th grader even knew who she was. I am definitely going to try her puffs in honor of a great actress and a wonderful English teacher!